At Villamar, we are premiering a camping concept that won’t leave the most demanding campers indifferent, the Comanche Experience! 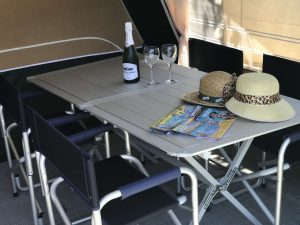 With the Comanche Experience, you can experience the new trend in international camping: glamping. 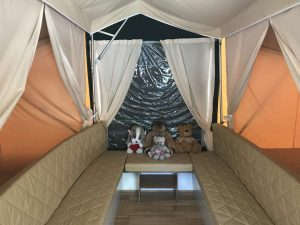 Authentic luxury camping with tents that are totally equipped to make camping more comfortable than you remembered. 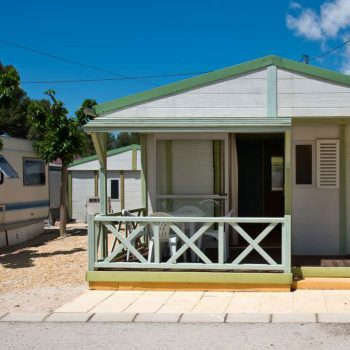 Our Comanche area contains a series of spacious, equipped camping tents. 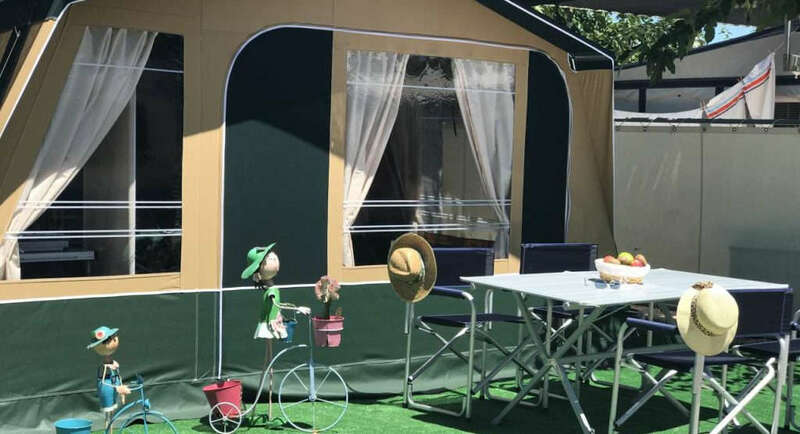 Each one has two bedrooms with large, independent beds, which makes this camping option ideal to lodge four people, and the best option to go camping with children. 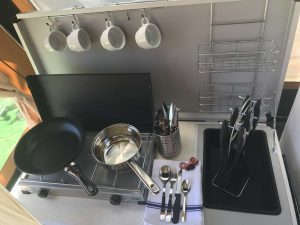 These tents have a kitchen equipped with two burners, a refrigerator, and basic kitchen tableware, a living room with a table and a weekly bedsheet and towel kit. And, of course, a parking spot. If you want to enjoy camping without foregoing basic comforts, you can’t miss out on our Comanche Territory. 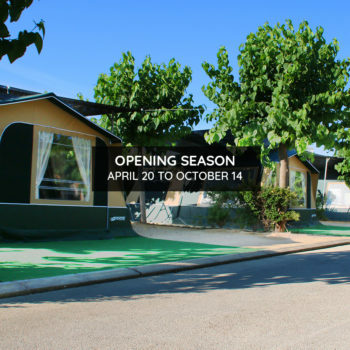 Villamar Camping has large plots, so parking your motorhome is no problem. Also, if you don't have one, we offer a caravan rental service. 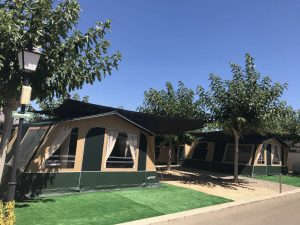 If you prefer to lodge in our mobile homes, you can also do so and enjoy our Comanche experience. 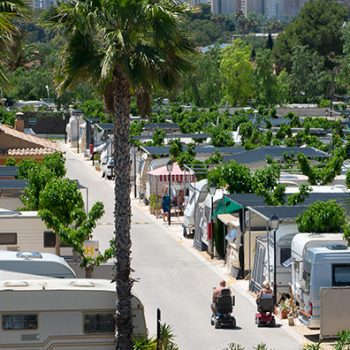 Camping in Benidorm with Caravans, Plots, Mobile Homes and Comanches. 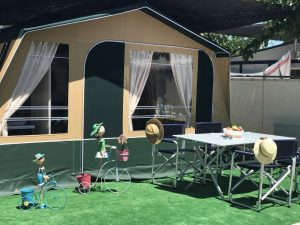 Camping with activities for all ages. 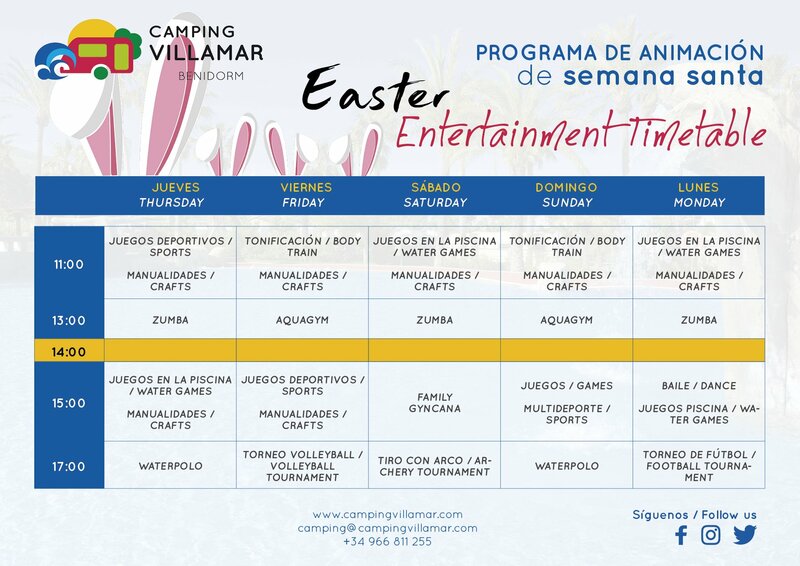 Enjoy your holidays in Benidorm with us.